COME-IN is co-financed by the Interreg CENTRAL EUROPE Programme. 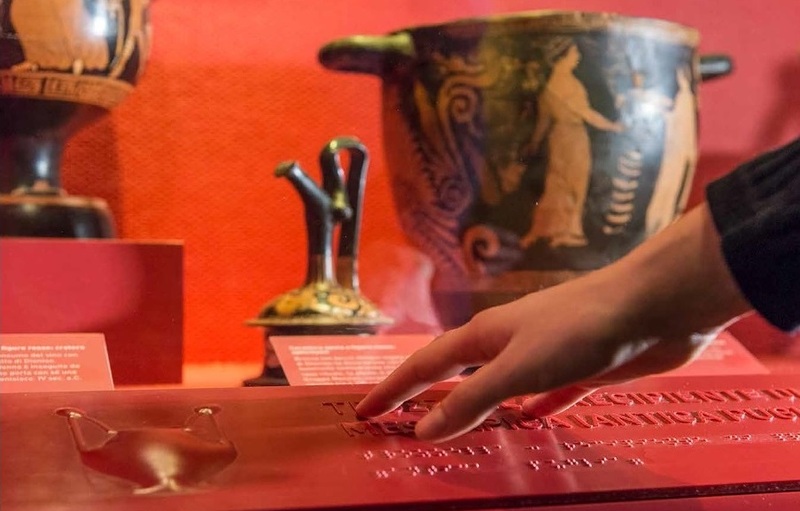 It aims at enhancing cultural heritage in Central Europe (CE) and at increasing the capacities of small and medium-sized museums by making them accessible to ALL visitors with different kinds of disabilities. The Central European Initiative – Executive Secretariat is coordinating a multifaceted network of 14 museums, disability associations, academic representatives, training institutions and policy makers from CE, who will define transnational high-level standards and ensure know-how transfer to guarantee accessibility to museums. Specific guidelines will be developed to help organise accessible collections as well as inclusive multi-sensorial exhibitions. A training handbook for museum operators will also be made available. An innovative promotional tool - the COME-IN! label - will be elaborated to award museums complying with the established accessibility standards. The label will be promoted at local, national and transnational level to ensure its sustainability and transferability. The CEI-Executive Secretariat is seeking candidates to elaborate the concept and design of the COME-IN! From 3 to 4 December 2018, the Central European initiative – Executive Secretariat represented the Interreg Central Europe project COME-IN! The CEI – Executive Secretariat (CEI-ES) hosted the Steering Committee Meeting of the EU-funded project COME-IN! in Trieste, on 6-7 November 2018. On 30 September- 2 October, the CEI-Executive Secretariat (CEI-ES) participated in the second edition of the World Summit on Accessible Tourism in Brussels as lead partner of the COME-IN! project, which aims at increasing the capacity of small and medium-sized museums by making them accessible to all.